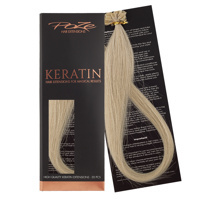 The team behind Poze have worked with keratin hair extensions from the beginning and was among the first in the country that offered keratin hair extensions as a salon service. 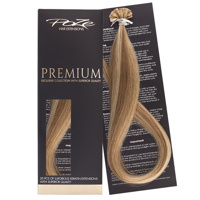 A lot has happened over the years and we have contributed to the development of Poze Keratin Extensions which are developed for professional salons and extensions lovers. 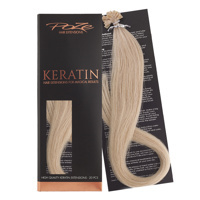 With Poze Keratin Extensions or nail hair extensions you get a permanent hair extension that is comfortable and looks completely natural. 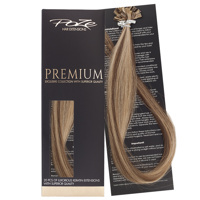 Our keratin hair extensions comes with natural keratin which is quite gentle on your hair. 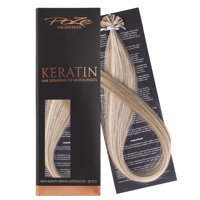 To get a really good keratin hair extension, it is important to know the techniques for keratin hair extensions. If you are unsure, we offer training courses that you can have great use for in your career. Read more about our “Extensions Artist” course. With keratin hair extensions / nail hair, you can get a natural and comfortable hair extension, fuller hair or why not create beautiful color effects with highlights in various shades. 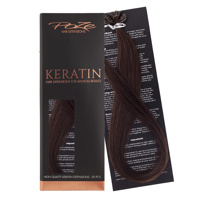 Poze Keratin Extensions or nail hair as it is also known is a gentle method that lasts about 3 months if it´s attached correct and the care advice is properly followed. You get an airy hair extension mixed up with your natural hair that you can style and create incredibly beautiful hairstyles with. 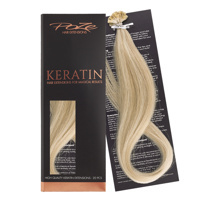 Order your keratin hair extensions from Poze today and experience the magical feeling of a long and beautiful hair!